LONDON, UK – Duty Free on Arrival (DFOA) revealed this week a major redesign and new features such as one-click country searching for thousands of listings of arrivals duty free shops and shopper allowances worldwide. The site, with the slogan, “Check Before You Fly….Time on Uour Side,” is the expanding portal for traveling shoppers and the travel trade to see in one place, for the first time, everything the traveler needs to know when weighing up different retail offers on any journey and on different modes of transport. New language versions were announced this week, now covering nine major languages. Some 82 percent of travelers now prefer to book and manage their travel online, according to a recent IATA survey, but only a tiny percentage of duty free goods are reserved or sold online. With online ticket sales growing at a staggering rate and with online check-in and price comparison websites all currently booming in the travel space, Ivor Smith, managing director of DFOA, said that the duty free industry is a notable latecomer in this revolution. By the end of 2010, IATA has decreed that all air tickets will be barcoded ready for mobile check-in and other new services. 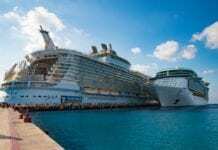 “Only tour operators such as Thomson (TUI) and Thomas Cook, with their airline operations and the cruise operators, have really embraced the online concept. 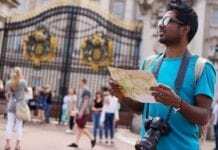 They are aggressively targeting duty free through the travel market, and this trend is important, because it is the travel agent who will always be the first point of contact with the traveler,” said Smith. DFOA is a new upgraded service that wants to lead the duty free industry in a slightly different direction, into the online world. Duty free shops have superb designs and superb brands and promotions, but the UK-based company said they appear slow in following their customers who now do most of their planning online or through mobile media, in advance of their trip and not when they arrive at the airport. Trevor Lloyd-Jones, travel writer and duty free industry analyst said there is a general recognition that the web is changing the way people make decisions about travel and the way they search prices, duty free allowances, and availability of particular duty free items around the world. “Duty free shop operators are gradually improving their online shopping websites, but overall the duty free industry has not yet come together to decide how to tackle the Internet opportunity in a comprehensive way,” he said. “The security situation with liquids and gels and talk of more tobacco sales restrictions are meanwhile increasing the requirement for accurate shopping information online. DFOA offers a platform that many duty free operators have begun to talk about,” he added. According to DFOA, the opportunity for the travel trade now is to reach the new groups of travelers and consumers who are increasingly searching for shops and travel destinations on the net. DFOA offers the home for the travel trade and the duty free retailers to come together onboard a new portal that takes care of all the hard searching and information queries of traveling shoppers. “There is no reason why duty free and the travel trade cannot be more closely joined up for the benefit of the consumer,” said Smith. “Sales conversion and penetration of travelers into duty free shops is still historically low. Even with walk-through shops and the new arrivals shops, the airports’ own research from Dolby Consulting and others shows that the offer is not being communicated properly or uniformly. For the travel trade, travel agent, tour operators, and airlines, Smith said the opportunity is for ancillary revenues generated from commissions on incremental sales of traditional duty free and other new types of products. “We are happy to provide a home for travel operators and the duty free channel to come together,” said Smith. With this new portal both industries can now affiliate to increase traffic and revenues.